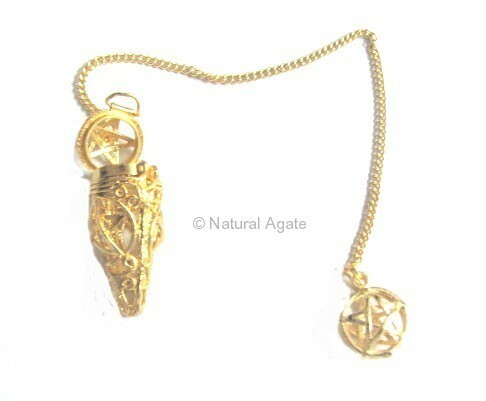 Golden Pentagram Metal Pendulum has a pentagram symbol on the pendulum as well as on the plate on other side of the chain. Pentagram is a powerful symbol that is used to attract energy from the five elements of the nature. Get it now from Natural Agate.